Nutid is Håkan Åkesson and Åsa Jacobsson, a Swedish instrumental duo that have a penchant for developing vast and enveloping pastoral compositions that live and breathe within the frustrating confines of an album, much like a Jackson Pollack painting escapes the confines of an art museum. The art becomes larger than its surroundings. 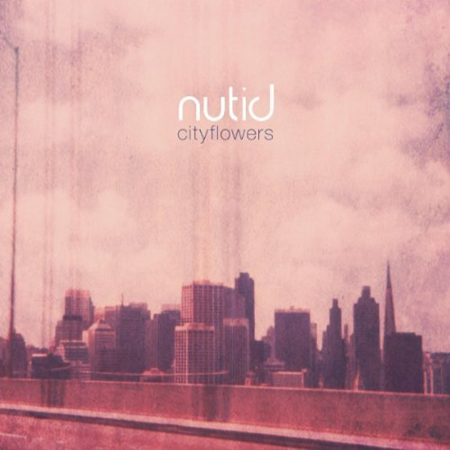 Cityflowers, Nutid’s second album, is an accumulation of twelve beautiful tracks that create an inviting soundscape that often blooms and unfolds through the use of a gentle piano or a scale-climbing harmonica. Each track stands alone as an individual soundtrack to one’s life. When one interacts with art, one brings his/her own experiences to decipher or make sense of what the artist is trying to convey. Nutid’s songs become a sort of musical Rorschach test that forces the listener to confront certain distant memories, good or bad. On a track like “Mona and Jag,” I’m instantly back in my old bedroom at my parents’ house, sifting through a handful of comic books as my mother prepares X-mas dinner in the late afternoon. “Black Flamingo” reminds me of sitting in the back row of church and feeling guilty for being alive. “Where I Am” conjures up the image of walking home after my car broke down. There is a simultaneous comfort and uneasiness that weaves in and out through the entire album. The uneasiness is a natural reaction to confronting old memories, and the comfort comes from Åkesson and Jacobsson’s thoughtful compositions. That said, as an album, Cityflowers feels disjointed. Each track doesn’t seem to relate to one another; they seem like twelve separate mini compositions. This doesn’t take away from the beauty of the music, because Nutid’s music is heartfelt and insightful. It would be interesting to see Nutid to further develop their compositions and push them into longer pieces released on twelve-inch vinyl on six different records with two tracks on each record. This type of musical presentation would make one’s experience with Nutid more personal and powerful. Regardless, it seems to me that movie directors should experience Cityflowers and give the Swedish duo a chance to score their next film. David Foster Wallace claimed that he didn’t like to do interviews. He had problems with the give-and-take process of being interviewed. Even further, Wallace didn’t like the attention; he didn’t, for the most part, like being viewed as a rock star writer. In a letter to Don DeLillo Wallace expressed concern about how certain interviewers would comment on the persona he would adopt during the interview process; he was bothered by their offhanded comments on what he was wearing, how he ate, or what brand name products were strewn about his home. Yes, some of Wallace’s earlier interviews took place in his home, which Wallace later admitted was a tactical error. Not sure if this statement on his syllabi would put an interviewer’s mind at ease, but it would give him/her a reference point to help maneuver around Wallace’s genius. On a side note, Wallace’s English 102 required the class to purchase and read novels by Mary Higgins Clark, Jackie Collins, Thomas Harris, Stephen King and Larry McMurtry. What an amazing and thought-provoking class this must have been! Can you imagine Wallace explicating Collins’ Rock Star? Crazy. Anyway, Wallace was right. Within this collection of interviews there are stupid questions asked about Wallace’s work, but the reader still benefits from these types of questions and receives special insight into Wallace’s writing. Or, at the very least, we occasionally get to see Wallace become a rhetoric and composition bully and call the interviewers out for their inane questions that don’t directly correspond to his writing. This academic posturing is most prevalent in Wallace’s two thousand and five interview with French journalist Didier Jacob. Oddly, Jacob asked Wallace, “Could you describe a typical writing day, how you describe the Illinois State Fair of a tennis tournament?” Wallace replied, “I don’t understand how the two clauses in your question fit together. I have no ‘typical’ writing day” (155). The brief interview with Didier is full of Wallace-like moments where he analyzes and critiques the questions before giving the answers he thinks Didier is asking. Jacobs’ questions had little to do with Wallace’s work, and Wallace called Didier out on his question asking abilities. The nineteen ninety-three interview with Hugh Kennedy and Geoffrey Polk for Whiskey Island, a literary magazine published by Cleveland State University, is insightful and candid. Even though Kennedy and Polk have a difficult time keeping up with Wallace, they were able to garner some of the most insight and seemingly honest responses from Wallace, especially in regards to his thoughts on MFA programs and the challenges contemporary/modern fiction writers face when writing. Also, Wallace shares an impromptu grocery store list of writers/books that he admired/loved to read. For those who are not familiar with Wallace, the last addition to the text is an excellent place to start. David Lipsky’s The Lost Years and Last Days of David Foster Wallace, original published in a two thousand eight issue of Rolling Stone, is a sensitive and insightful piece that gives the reader a thoughtful view into Wallace’s life and last days. The thoughts and feelings of Wallace’s sister, Amy Wallace Havens are heart wrenching as they strip Wallace of his superstar writer persona that was placed upon him by many in the academic world. Havens seems to be the only person to see Wallace for what he really was—an incredibly wonderful person who was truly a goofball. If you’ve been following Wallace’s career, most of the interviews in this text are going to be extremely familiar. Also there is the obvious problem of accumulating twenty-some interviews into one text—the questions and answers can become redundant. Overall, editor Stephen J. Burn understood this inherent problem and he effectively chose and presented the proper interviews to avoid much of this expected redundancy. It’s curious that this collection of interviews is titled Conversations with David Foster Wallace. I know the University Press of Mississippi has a long history of publishing collected interviews and titling them Conversations with. . . Maybe in the spirit of Wallace I’m being overly analytical, but the word conversation implies a somewhat relaxed interaction between two or more people. Since Wallace had a general dislike for interviews, outside of a few instances, I’m sure he wouldn’t consider this text to be full of conversations; he would view the book as an accumulation of questions and answers, especially considering the tennis match like written format chosen for most of the interactions. Would Interviews with David Foster Wallace be a more appropriate title? Maybe. 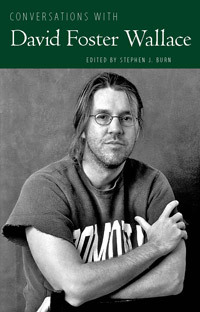 Conversations with David Foster Wallace is a text worthy of a place on your bookshelf. It is great to have a collection of Wallace interviews to rummage through and investigate. Wallace’s responses open up another area of the writer’s world to the reader, an area that showcases Wallace’s wit and genius. One could easily use this text as a sort of travel guide through many of Wallace’s essays and novels, or one can use it as an excellent introduction to a writer that will only grow in popularity and appreciation within the academic world. May 18, 2012. Literature. Leave a comment. Seven years have passed since Garbage released their last album, Bleed Like Me. During the band’s hiatus the creative bookends of the band kept busy. Butch Vig produced, and Shirley Manson worked on an unreleased solo album while making her professional acting debut. The band came together, booked some studio time and completed their fifth studio album, Not Your Kind of People. Garbage has always found a way to create songs that balance between glossy pop-electronica and dark alternative. There always seems to be something deeper in their songs that are hidden by a clean and shiny production. Well, the band picks up right where they burned out seven or eights years ago. The album opens up with “Automatic Systematic Habit,” an upbeat, ready-for-radio song that builds around an obvious New Order bassline. As Manson declares that she wants to be “my dirty little secret,” it strikes me that the opening track sounds a little Miley Cyrus-ish. And there’s nothing wrong with that. I think. Buried within a bunch of pop-friendly tunes is “Not Your Kind of People,” a Beatlesque, Abbey Road era tune that is slow, thoughtful and well crafted that every outsider will find solace in. It’s a song like this that showcases Garbage’s ability and talent as a group. Simply put, it’s a beautiful track that will probably get lost in the ubiquitous, Adderall fueled pop noise that dominates the rest of the album. To be musically relevant and convincing, Garbage should build upon the title track and move away from their soundtrack heavy sound. “I Hate Love” revisits the stereotypical Garbage sound that consists of a determined and enchanted Manson vocal carefully layered over a warm and driving melody made for dancing. It’s the blueprint for most every Garbage song ever released. “Battle in Me” swims in familiarity and mediocrity. Manson’s lyrics, sung over stadium-sized sounds, are as forgettable as they are stale. “Get out of my face / Before I lose my patience.” I’m shaking. I get the feeling that Manson’s notebook is full of empty words and rehashed clichés that she tries to breathe life into with her energetic voice and her red painted lips. The album ends with “Beloved Freak,” a retrospective singsong that seems out of place and derived. It’s b-side quality at best and should’ve been left off of the album. 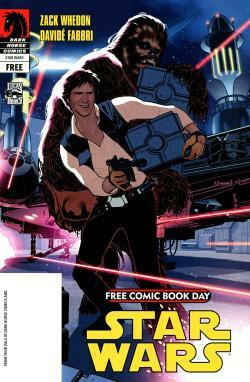 Dare I say that it is an anti-climatic way to end such an anticipated release? And would it hurt to spend a little more time on the album art? 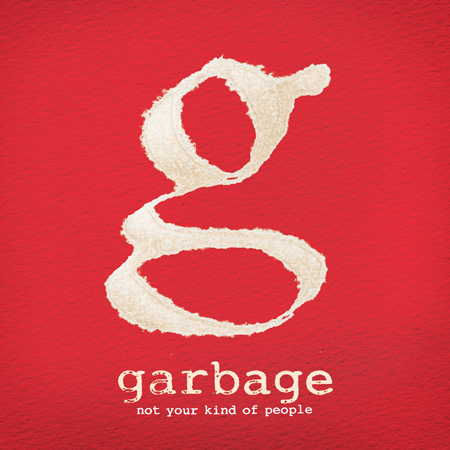 If you’re a fan of Garbage, I’m sure you will not be disappointed with the band’s long awaited release. But, if you’re a casual Garbage listener, or if you’re new to their sound, you might see more flaws than sparkles. 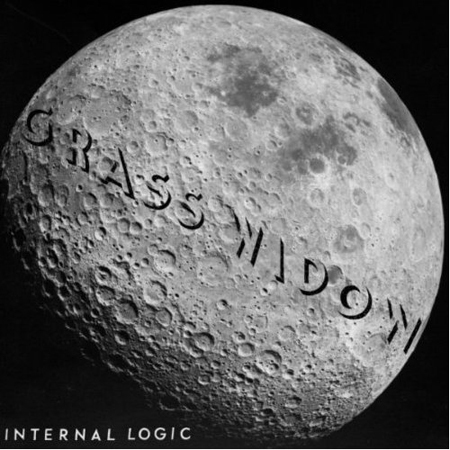 At this point, it’s best to purchase the title track and revisit or discover some of the band’s previous releases. May 15, 2012. Albums. Leave a comment.